Foundation, with a goal to raise $2,500 for the organization. 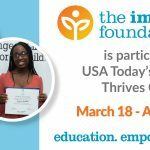 Becker’s commitment to The Immokalee Foundation exceeds a 12.5-mile swim: He is deeply dedicated to TIF’s career development program, which helps students refine academic skills, guides them through a process of career goal-setting, and increases their knowledge of career opportunities. The program also infuses innovative ideas to attract students who seek alternative choices in their education. After spending 25 years in corporate America, Becker decided to make a career change and began teaching at Immokalee High School in 2009. 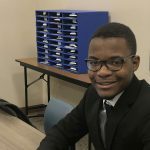 He recognized that some students’ needs were unfulfilled and began helping them during lunch and after school to prepare for the ACT test, a national college admissions exam that tests students’ knowledge in English, math, reading and science. Around the same time, TIF was creating after-school programs and summer academies to build students’ confidence for college-level courses and future career opportunities. Becker was approached by a TIF program manager and asked if he would be interested in joining forces. A natural alignment took place, and Becker immediately became involved and is an avid supporter of TIF.